The transportation secretary, Elaine L. Chao, called on Tuesday for her agency’s internal watchdog to investigate the process by which the Federal Aviation Administration in 2017 approved designs for the 737 Max. Lawmakers in Congress also are pushing for a review, while Canada is looking into its approval of the plane’s American certification. 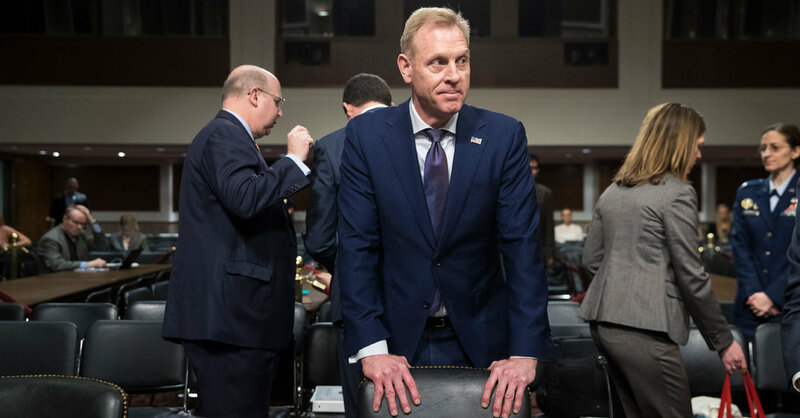 The specific allegations that the Defense Department’s inspector general is examining revolve around complaints, first reported in Politico, that Mr. Shanahan disparaged competitors of Boeing during meetings at the Pentagon with senior national security officials and lawmakers, two United States officials said. “The American people should be able to trust that government officials are working for them — not for big defense contractors,” Ms. Warren, who is running for president, said in a statement. While Mr. Mattis resigned in protest of Mr. Trump’s policies — including the surprise announcement that American troops would withdraw from Syria — Mr. Shanahan has held the line for the president. As the deputy defense secretary, Mr. Shanahan made clear that “we are not the Department of No,” as he told officials after the administration announced plans to create a new stand-alone Space Force at the Pentagon. It has since been moved to the oversight of the Air Force. Since becoming acting defense secretary, Mr. Shanahan has raised the ire of some lawmakers. Last month, Senator James M. Inhofe, Republican of Oklahoma and the chairman of the Armed Services Committee, said he did not believe Mr. Shanahan shared the “humility” of Mr. Mattis but did not elaborate. Senator Lindsey Graham, Republican of South Carolina, also clashed with Mr. Shanahan last month over the planned troop withdrawal from Syria.